How do we define Developmental Psychology? Developmental psychology refers to one’s physical, psychological and social development during each chronological stage of one’s life. That is, from the moment of conception until the moment of death. Noticeably, this explanation is too limited in its definition, therefore, to gain a greater understanding of developmental psychology we must first expand upon each developmental and chronological stage in more detail. With this in mind, let’s start with physical growth, physical growth begins with one’s development during the prenatal stage, namely, from conception to birth. It also refers to one’s development of sensory perception, one’s mental cognitive functioning and one’s motor skill development. It does not, however, refer to one’s development of social behavioural patterns, or one’s expression of emotion as these two developmental elements construct the basis of one’s social and psychological development. But before we continue it would be beneficial to acquire a historical perspective. 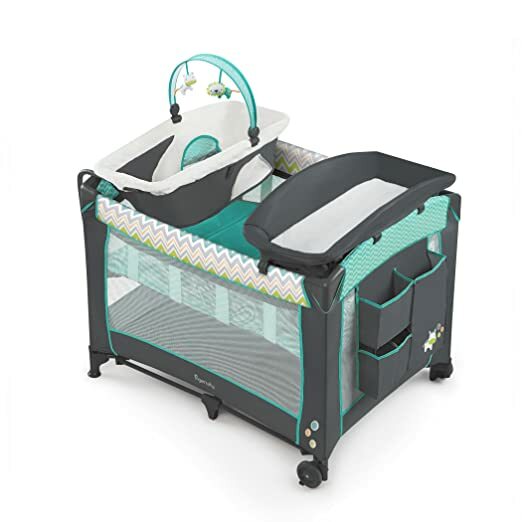 Note: Price $114.99 (+ Shipping / Price is subject to change by Amazon) Ingenuity Smart and Simple Playard – Ridgedale, by Ingenuity. Philosopher John Lock conceptualised during the 17th century that a child’s mind at birth was considered to be a ‘tabula rasa,’ a ‘blank slate’ that is written upon by one’s environmental experiences. However, this view was not subscribed by all as 18th-century philosophers Jean-Jacque Rousseau argued that a child’s development was ‘predetermined, naturally moral’ and inquisitive by nature. With this in mind, Rousseau was acknowledged as an advocate for the ‘child-centred’ approach of child-rearing, that is, a parent who allows the child to determine when they are ready to try new experiences. Noticeably, these influential philosophical thoughts of Lock & Rousseau allowed others to approach the field of developmental psychology with an open mind, it also symbolised a time of ‘non-experimental design’ as observations made by Lock & Rousseau were not quantified, validated or reproduced under strict ethical guidelines. However, influential developmental theorist Sigmund Freud and Jean Piaget suggested that there were a number of significant observable phases of ‘human growth’ during the first twenty years of life that could be quantified. They also acknowledged that any changes thereafter would be limited, even degenerative from this chronological stage onward. Moreover, it was also during the 20th century when ‘pre-determinist’ and ‘behaviourist’ had discovered many fundamental theoretical controversies within the field of developmental psychology. Noticeably, these controversies included ‘nature versus nature, continuity versus discontinuity’ and the debate of whether or not ‘culture’ plays a role in one’s development. By defining ‘nature’ as one’s ‘inheritance’ or ‘genetic’ disposition and ‘nurture’ as one’s environmental experiences from the moment of conception. We can then pose the question of much debate, “To what extent is development influenced by one’s inheritance, or environmental experience? Moreover, how a person’s genetic inheritance is influential in one’s physical cognitive and social behaviour as genetic disorders like ‘Alzheimer’s disease, Down Syndrome’ can affect one’s behavioural patterns. Moreover, genetic imprinting, that is, one’s disposition to dominate-recessive genes can also play a role in determining the mannerisms of the individual. In addition, ‘Environmental experiences’ are known as ‘Teratogenic influences’ or ‘agents’ within the field of developmental psychology. It also relates to agents that cause and ‘effect’ one’s normal, abnormal development during the embryonic stage of development. Moreover, examples of these harmful agents include prescribed, non-prescribed drugs, age and the number of siblings prior to conception. Is development a gradual sequential processor does one’s development progress in stages that can be observed and quantified? ‘Learning developmental theorist’ J. B. Watson suggested that development increases in complexity, in increments, whereas ‘stage theorist’ Jean Piaget had identified separate cognitive stages of maturity that can be observed. Both Watson & Piaget’s theories offer two unique approaches to developmental psychology and helped pave the way for other developmental theorists. Although cultural diversity can account for different environmental learning conditions, many theorists argue that some underlying processes are ‘universal’ and therefore ‘culture-free.’ Piaget, a ‘stage theorist’ and advocate of this concept suggested that children regardless of their learning environment or culture progress through four cognitive developmental stages of maturity. However, other theorist argued that children are unable to separate themselves from their culture as customs, attitudes and behavioural patterns are transferred from one generation to another. Noticeably, many modern-day theorists agree that a balance is required between these two theories in order to understand how children learn and develop on a cognitive level. I have just taken a fascinating journey through your website articles, very concise, informative and easy to understand. The site is also really user friendly. I wish you much fun with ‘New Parents Education’, it deserves to be a real success and I feel that this information is much needed. I look forward to more insightful info! Thank you Sue for taking the time to write a comment about this site, it will, of course, evolve over time and offer more information, more links to great products.